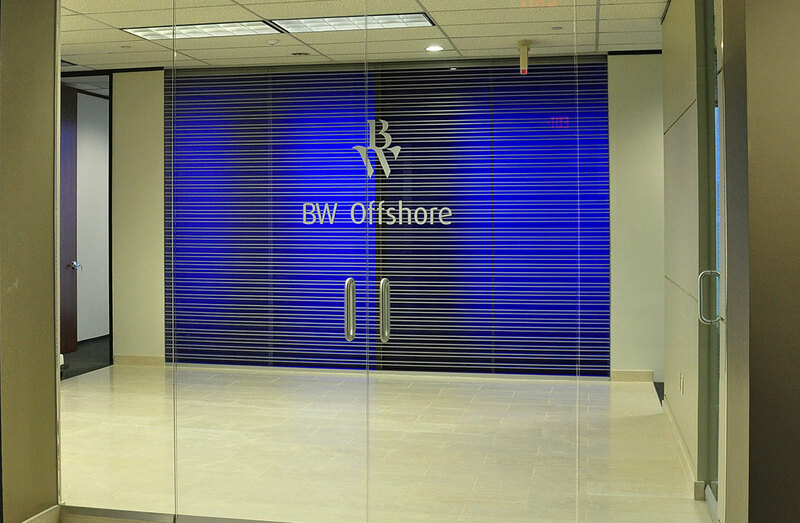 A new corporate office expansion invited the need for fresh, crisp branding and visuals to showcase this market leading global owner and operator of Floating Production Storage and Offloading devices, BW Offshore. 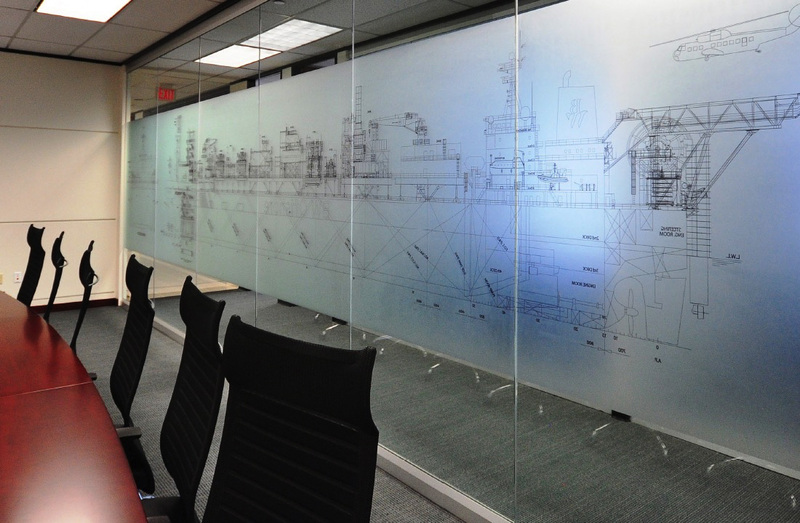 As the headquarters location, clients and prospects will be working from the conference room space and traveling throughout the facility. To deliver a dynamic, high profile branding message through the use of crisp, visually compelling imagery that clearly features the brand. 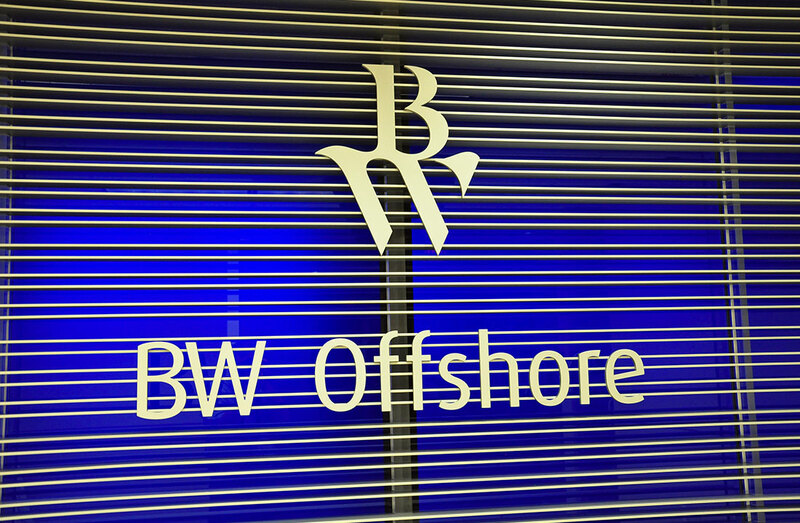 Key strategy points focus on corporate image and branding. 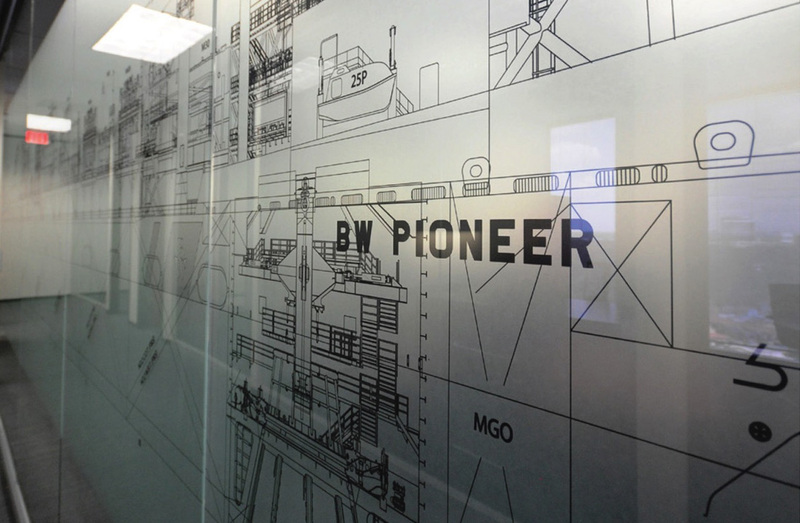 Taking full advantage of the clear glass conference room windows and the hallway canvases, the space adds depth and dimension, infusing the environment with the spirit and cornerstone of BW offshore projects, including its FSPOs. 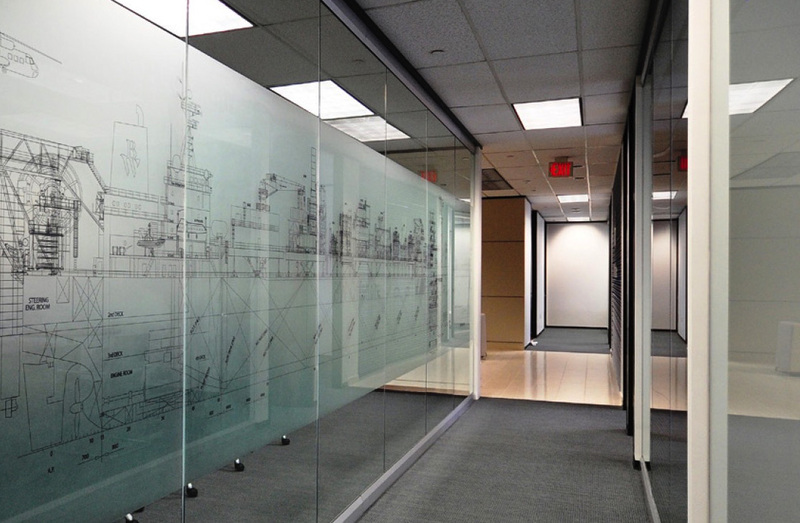 The design, fabrication and installation take full advantage of the surrounding environment by utilizing a natural light source to "illuminate" the glass wall to give it that strong visual affect. 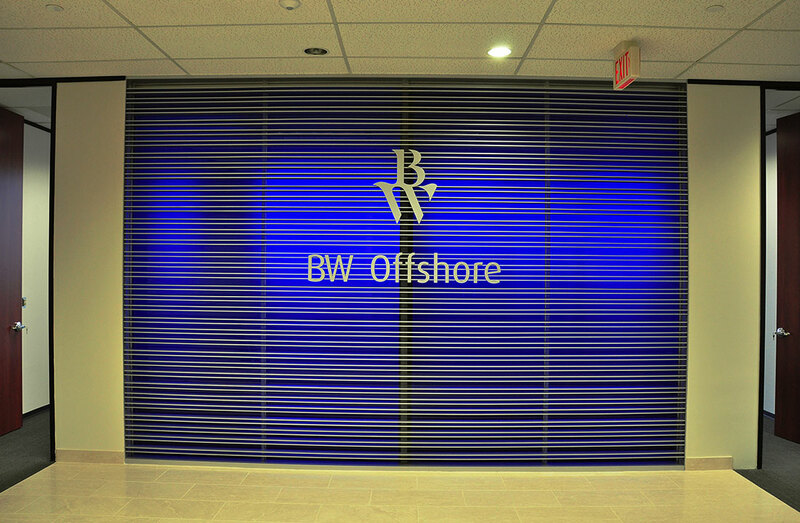 Utilizing the classic blue of the BW logo, brings forth images of the waters upon which their FSPOs operate. Light infuses the new installation, encouraging interaction and more pointed discussions about the FSPOs. 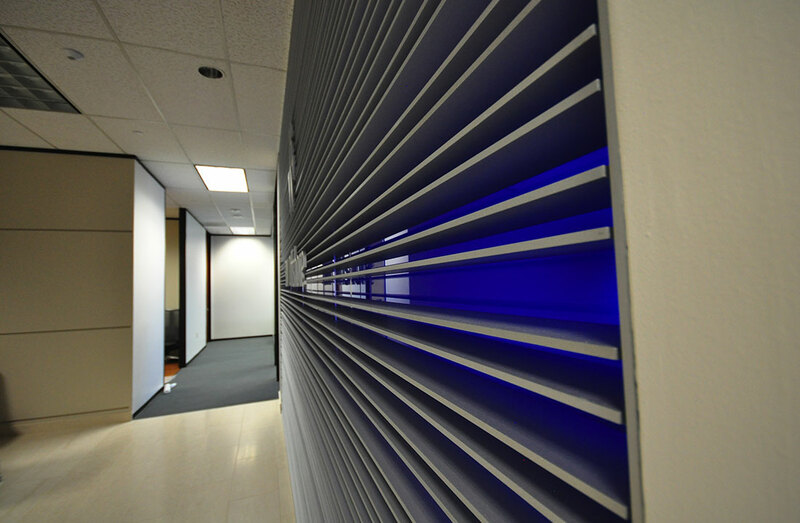 The overall look and feel is polished and professional, reinforcing the strength and stability of the brand.